Ricardo Sanz was born in Tomellosa, Spain in 1963. He got a degree in electrical/control/electronics engineering in 1987 and a Ph.D. in robotics and artificial intelligence in 1990. 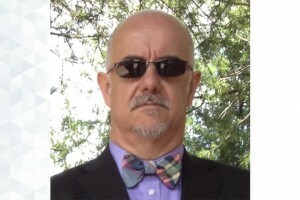 Since 1991, he has been a member of the Department of Automatic Control at the Universidad Politecnica de Madrid, Spain, teaching Computer Programming, Artificial Intelligence, Automatic Control and Systems Engineering. His main research interests focus around the topic of architectures for intelligent systems. He has been involved in research projects on autonomous control, software technologies for complex, distributed controllers, real-time artificial intelligence, cognitive robotics, bio-inspired controllers and philosophical aspects of intelligence. He has been associated editor of the IEEE Control Systems Magazine, the International Journal of Machine Consciousness and the Journal on Biologically Inspired Cogntieve Systems. He has been chairman of the OMG Control Systems Working Group and the IFAC Technical Committee on Computers and Control. Since 2004 he is the coordinator of the UPM Autonomous Systems Laboratory. A self-adaptation framework based on functional knowledge for augmented autonomy in robots. INTEGRATED COMPUTER-AIDED ENGINEERING. Vol.25. Number. 2. Pages: 157 - 172. Kernel-based support vector machines for automated health status assessment in monitoring sensor data. International Journal of Advanced Manufacturing Technology. Vol.95. Pages: 327 - 340. A LiDAR-Based System to Assess Poplar Biomass. Gesunde Pflanzen. Vol.68. Number. 68. Pages: 155 - 162. Artificial Life. Vol.19. Number. 1. Pages: 133 - 148. The morphofunctional approach to emotion modelling in robotics. Adaptive Behavior. Vol.20. Number. 5. Pages: 388 - 404. A Functional Approach to Emotion in Autonomous Systems. Advances in Experimental Medicine and Biology. Vol.657. Number. 4. Pages: 249 - 265. ENGINEERING COMPUTATIONAL EMOTION – A REFERENCE MODEL FOR EMOTION IN ARTIFICIAL SYSTEMS. A New Foundation for Representation in Cognitive Brain Science: Category Theory and the Hippocampus. Oasys: Ontology for Autonomous systems.